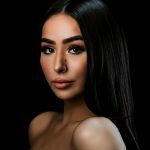 Frouzan Mayell | DULCEDO | A management agency representing models, influencers and social media stars for fashion, editorial, advertising and commercial bookings. : DULCEDO | A management agency representing models, influencers and social media stars for fashion, editorial, advertising and commercial bookings. 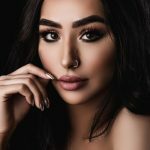 Frouzan, is an Afghani-Canadian based Makeup Artist who is inspiring girls everywhere through beauty and makeup. She has grown a huge fan base of more then 300K+ and is one of L’Oreals Brand Ambassadors and was an invited guest to attend Paris fashion week. 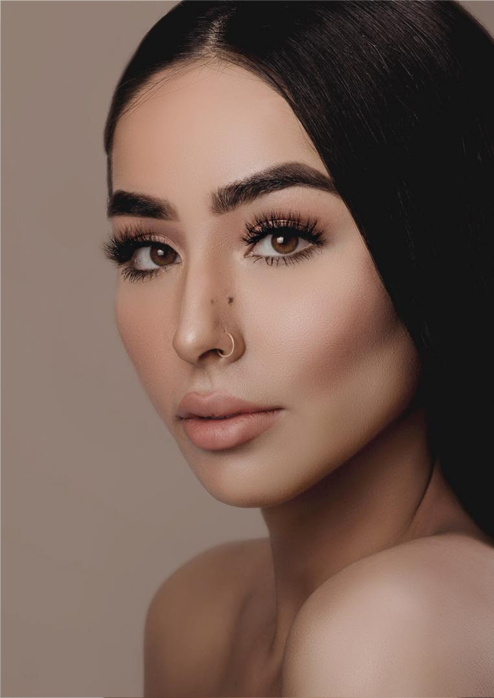 When she isn’t creating makeup tutorials for her online audience, she can be found giving private classes and creating stunning looks for her clients in studio for their special days. 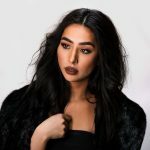 ​S​he Has hosted Canadian Masterclass of her own, while showing support to collaborate with other famous Artists attending Dress Your Face Masterclass as the surprise guest model.